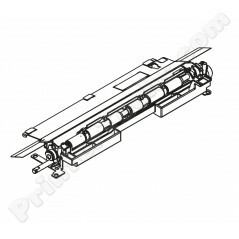 This is a new, genuine HP registration roller assembly for use in the HP LaserJet P3015 series printers. HP part# RM1-6272 . This is a common replacement part to solve the problem of small double-marks printing on the back of pages.